Meet the 2019 Scuba Show seminar speakers! We bring together notable talent from across the industry to give engaging presentations. Each speaker has a unique background and a passion for diving. Gretchen M. Ashton, CFT, SFT, SFN, SSC, NBFE, is an advanced scuba diver, nitrox diver, paddler, sailor and fitness professional with more than 70,000 one-to-one and group training sessions. She is registered with the National Board of Fitness Examiners, is an International Sports Sciences Association Preferred Education Provider and Elite Trainer which includes credentials as a personal trainer, specialist in fitness therapy, fitness nutrition, strength and conditioning, arthritis and boxing exercise. As a lifetime drug free strength athlete Gretchen set 21 World and 21 American records and is the second woman inducted into the AAU Power Lifting Hall of Fame. 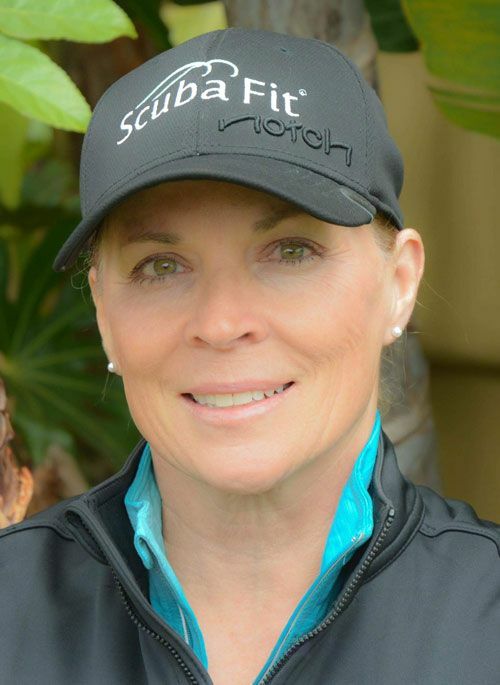 Gretchen is founder of ScubaFit LLC, and developed the ScubaFit®, FitDiver®, DiveFit® and SurfWalking™ exercise programs for divers, instructors and water sports enthusiasts. She co-authored the PADI ScubaFit® Diver Distinctive Specialty, co-designed FitDiver® mobile fitness apps, and publishes FitDiver®Magazine. 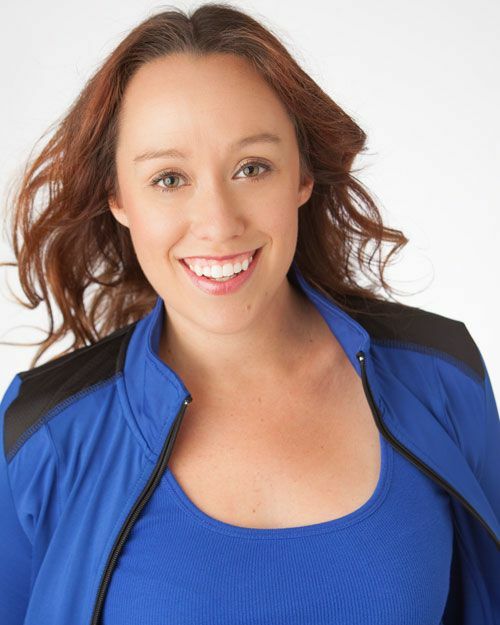 She shares her fitness message with the diving clubs, is an Expert Speaker for Los Angeles County Scuba Advanced Diver Program and Underwater Instructor Certification Course, at the Scuba Show, U.S. Dive Shows, and dive medicine conferences. Gretchen is a brand ambassador for Mobby’s and a mentor with Water Women, Inc. Her writing includes Fitness Editor or contributor for World’s Best Dives, Unified Team Diving Journal, California and Florida Diver Magazine, X-Ray Mag, Scuba Sport Magazine, Alert Diver United States and Asia-Pacific, Divetime.com, ScubaBoard, Scuba Fitness Examiner at Examiner.com and her ScubaFit® blog. She is recognized by the President’s Council of Physical Fitness and Sports for inspiring and innovative accomplishments in fitness and in the Margaritaville Key West website culinary column. Susan Bangasser, Ph.D. and Erin O’Neill have an accumulated history in California diving which stretches well over a century yet each continues to avidly and frequently dive! Their deep backgrounds in dive training, medicine, research, art and/or leadership enabled each to publish volumes on key aspects of diving and each have been recognized in this field by induction into the Women Divers Hall of Fame. Each of these divers has faced particular challenges to our very physical sport and have found the ways and means to continue in their long-loved sport. Francois Burman, Pr Eng, Int PE (SA), BSc (Eng), MSc (MedSci) is a professional engineer from Cape Town, South Africa, and is the Director of Underwater & Hyperbaric Safety at Divers Alert Network (DAN). 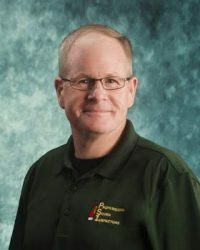 He serves as an international safety consultant in diving and hyperbaric medicine; conducts safety surveys of recompression and clinical hyperbaric facilities globally; lectures in diving and hyperbaric safety programs; and is responsible for risk mitigation programs that address all aspects of dive operations. Louis Casabianca began diving in 1980, in the days of beavertail wetsuits and horse collar BCs. He has been a Divemaster since 1994, and a Specialty Instructor since 2000. 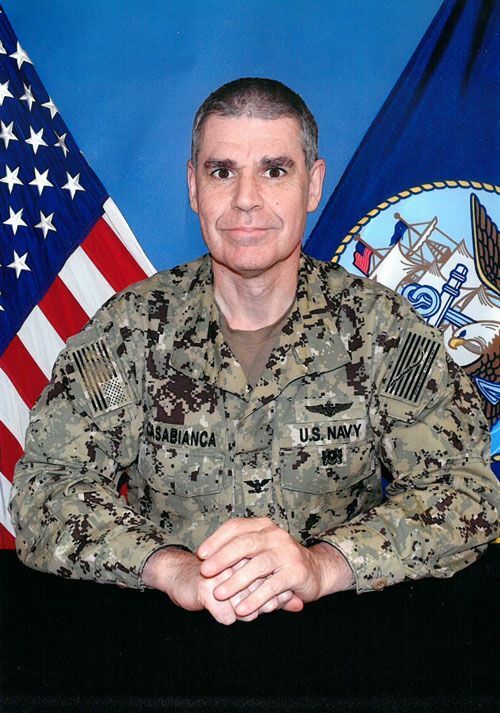 He has also been a Navy Scuba Diver since 1994, a surface-supplied diver/Navy Diving Officer since 1997, and a Mixed-Gas Diver since 2000. A decompression chamber operator since 1997, he has served on multiple diving and salvage missions worldwide. He has a Mechanical Engineering BSE from UC Berkeley, and still learns something new on every dive. 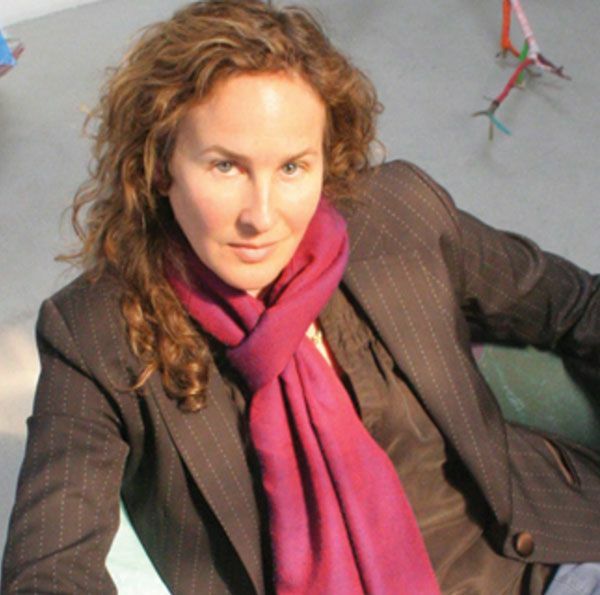 Dianna Cohen, Los Angeles-based multi-media visual artist, painter and curator, is the CEO & co-founder of Plastic Pollution Coalition (A project of Earth Island Institute). PPC, founded in 2009 to address the pervasive problem of plastic pollution, brings together a global alliance of individuals, organizations and businesses working together to stop plastic pollution and its toxic impacts on humans, animals, the ocean and the environment. PPC amplifies and communicates this common message and supports alternatives and solutions to single-use and disposable plastics. Cohen is best known for her two-dimensional and three-dimensional works using sewn recycled plastic bags from small hanging pieces to room-sized installations. Cohen has shown work in solo and group exhibitions at galleries, foundations and museums in the USA, Europe, Australia, New Zealand, and Africa. Sandra Curtis brings wide experience in media, business, education and research to Plastic Pollution Coalition (PPC). She’s helped expand PPC’s focus into collaborative research on toxic health effects from plastics. Together with Child Health and Development Studies, Dr. Curtis conducted Rethink Plastic. 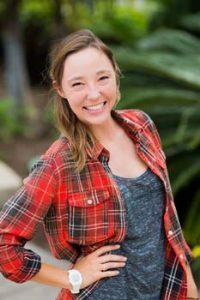 She co-wrote numerous PPC guides including the Guide to Healthy Babiesand Plastic-Free Campus Manual. An innovative educator, Dr. Curtis has applied her training across health care, educational and business settings. She enjoyed a long career as Sr. VP at Zorro Productions, Inc., producing works across media and has written numerous books, from biographies to children’s fiction. Jim has been a diver since 1986. He began his diving career in Wyoming and has about 300 or so dives in high-altitude, fresh-water lakes. In 2001 he moved to Hawaii to pursue a degree in Marine Science (Oceanography) with an emphasis in Underwater Archaeology, from the University of Hawaii at Hilo. While there, he obtained his AAUS 100′ certification. In 2011 he became a NAUI Member. Currently, Jim has about 5000 logged dives and is a scuba course director trainer and a DAN Examiner. Jim is currently the Assistant Director of Training for DAN. Jaclyn Friedlander is an on-camera personality with a passion for diving. She created Friends with Fins because she saw a need for ocean specific educational content. Friends with Fins now provides educational materials in the form of books, YouTube videos, live presentations and games to school aged children with a strong focus on STEM, literacy, conservation and keeping children interested in science. Jaclyn does author visits and conservation presentations at schools, aquariums, and conferences across the country. Mel Futrell is a PADI-certified open-water diver with additional Nitrox and Buoyancy Control training. As an instrument-rated pilot and aviation instructor who has been flying for 27 years, she also teaches Human Factors at Glendale College in the Pilot Training program. Upon earning her PADI-certification in 2012, Mel began investigating human factors in the diving field, her pursuits eventually leading her thousands of miles away across the pond to the UK and Gareth Lock. Mel also serves as an editor for the academic Journal of Human Performance in Extreme Environments. Mark Gresham is the owner, President and CEO of PSI-PCI, Inc. A U.S. Marine Corps veteran, Gresham worked professionally in the dive industry for several years before joining Bill High’s PSI-PCI executive team in 1999. He apprenticed under High and became the owner of PSI-PCI in 2005. He has contributed directly to the development of scuba cylinder safety guidelines and training materials, and published cylinder safety bulletins. He is the co-author of the fifth edition of Inspecting Cylinders. Gresham provides technical training, information and consulting to cylinder manufacturers, USDOT, Compressed Gas Association, fire services, NOAA, NASA and many other entities that utilize high pressure cylinders as well as trained PSI-PCI inspectors worldwide. His leadership in development of the Oxygen Cylinder Cleaning course (the protocol adopted by NASA), and ongoing PSI-PCI Annual Updates keeps him at the forefront of the industry for knowledge and expertise. Seeing a need and requirements for valve service, he developed the Valve Repair Technician program. Additionally, the Eddy Current Technician program continues to be a source of invaluable information to hydrostatic testing requalifiers and other users. Today Gresham is considered by many to be the foremost authority on cylinder inspection and safety worldwide. Over the past 39 years, Eric Hanauer’s photos and articles have been published in magazines, books, posters, and DVDs worldwide. 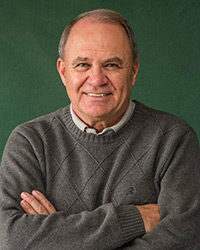 He has written guidebooks to the Red Sea and Micronesia, as well as an oral history of diving in America. For the past dozen years he has concentrated more on video. His work has been shown in festivals, on the internet, and in TV commercials. 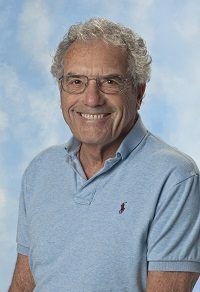 Eric is an emeritus professor of physical education at Cal State Fullerton, where he founded the scuba program and coached swimming and water polo. Karl Huggins has been the Director of the Catalina Hyperbaric Chamber Facility at the USC Wrigley Marine Science Center since 1992. 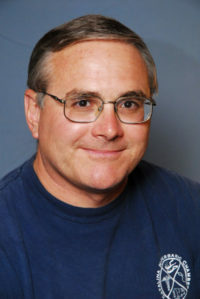 He is noted for his work in decompression theory and models, which resulted in the Michigan Sea Grant (HUGI) tables and his participation in the development of the EDGE dive computer. 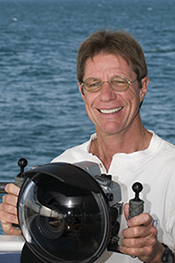 Karl is the 1990 recipient of the Leonard Greenstone Diving Safety Award, the DAN/Rolex Diver of the Year for 1993, the 2004 Conrad Limbaugh Memorial Award for Scientific Diving Leadership and the 2008 California Scuba Service Award. Captain John Kades has been an investigator/deputy coroner for the Los Angeles County Coroner’s Office since October 2000. He has been a member of the department’s Special Operations Response Team (SORT) and has specialized in disaster operations, aircraft fatalities, drowning/SCUBA cases, and skeletal/buried body cases. He is currently one of the managers of the operations division that includes 6 lieutenants, 38 investigators, and approximately 30 forensic support staff. He also directly oversees the department’s Notifications Section, searching for and notifying the legal next of kin of the deceased. As a member of the California State Coroner’s Association (CSCA) Captain Kades serves on the Association’s coroner curriculum development committee that recommends training standards for death investigations. He has a BA in criminal justice from UC Santa Barbara. He has been an active scuba diver since 1981. Kades spent 14 years as a public safety diver for the Santa Barbara County Sheriff’s Underwater Search and Recovery team. Ken Knezick is owner of Island Dreams Travel in Houston, Texas. He has logged more than 3,500 scuba dives and many thousands of hours underwater, quite literally around the world. From the Caribbean to the Pacific, his travels include most of the world’s great diving destinations. Ken served as Executive Director of Houston’s SEASPACE Exposition for 22 years. He is past President of Houston International Diver’s Club, and is a founding member of both the Houston Underwater Photographic Society (HUPS), and G.R.E.A.T., the Gulf Reef Environmental Action Team. Ken is a recipient of the PADI Project Aware/SEASPACE Environmental Awareness Award, and at DEMA he was honored with induction into the SSI Platinum Pro 5000 Society. 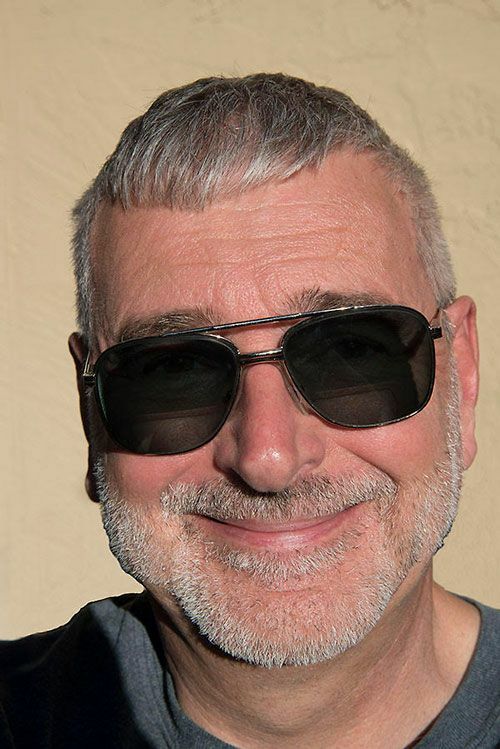 An accomplished underwater photographer, when not actually diving Ken enjoys writing short stories, travelogues, and presenting seminars and workshops at dive shows and dive clubs around the U.S.A.
Ken Kurtis was kicked out of swim class twice by the time he was six (he didn’t like putting his face in the water). Hardly an auspicious start to a diving career. But Ken always loved being around the water, loved looking at fish, and in 1978 while running a radio station in Richmond, VA, was offered a chance to get certified and took advantage of it. Ken then became a NAUI Instructor (Top Candidate at his 1980 ITC) and has logged over 5,000 dives all over the world in such varied places as the Maldives, Indonesia, Yap, Tahiti, Bonaire, Easter Island, Alaska, and, of course, his beloved waters of Southern California. Ken is the owner of Reef Seekers Dive Co., speaks frequently to dive clubs about diving techniques and safety issues, has been chairman of Chamber Day/Eve since the early 90s, served for 10 years as a member of the Statewide Interests Group for the MLPA, and is a volunteer dive team leader at the Aquarium of the Pacific. Ken is an accomplished photographer whose photos & stories can be found in the pages of the California Diving News, Undercurrent, and other scuba publications, along with the monthly Reef Seekers newsletter. 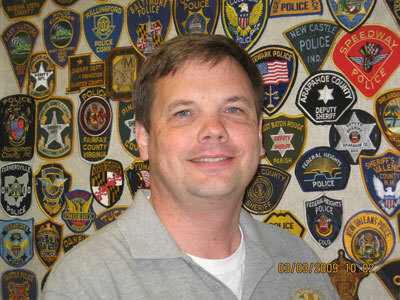 Since 2003, Ken has been a Forensic Consultant to the L.A. County Department of Medical-Examiner/Coroner. With all that, he still finds time to maintain an acting career (he was the voice of most of the hockey announcers in the 2015 documentary “Red Army”) and leads most of the local and foreign trips for Reef Seekers. He’s a very good cook, avid Scrabble & Boggle player, chases total solar eclipses, ran five L.A. Marathons, and is kind to animals and small children. Be sure to ask him his mantra about divers. Michael A. Lang, Ph.D. is a marine biologist, environmental physiologist, author, and international lecturer. 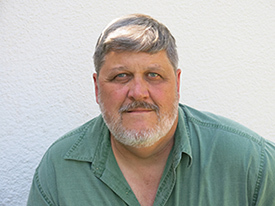 He holds appointments as UCSD Emergency Medicine Adjunct Faculty, Senior Research Fellow at The Ocean Foundation, served as director for nonprofit organizations, including AAUS, DAN, UHMS and AUAS and as expert consultant to the National Science Foundation, U.S. Coast Guard, U.S. Geological Survey, The Nature Conservancy, and Conservation International. Former Marine Collector/Curator at San Diego State University, Director of the Smithsonian Marine Science Network, Smithsonian Scientific Diving Officer, and National Science Foundation Polar Diving Safety Officer, Lang holds a B.Sc. in Marine Biology from San Diego State University, and a PhD in Environmental Physiology from the Norwegian University of Science and Technology in Trondheim. He is fluent in five languages, has published over 75 scientific papers and popular articles and presented over 350 seminars/papers on current marine science and diving topics. Honors include DAN/Rolex Diver of the Year, U.S. Antarctica Service Medal, NAUI Outstanding Instructor Award, Smithsonian Special Act Award, UHMS Craig Hoffmann Diving Award, AAUS Conrad Limbaugh Scientific Diving Leadership Award, DEMA Reaching Out Award, and the AUAS NOGI Award for Science. Ten time Super Lawyer Rick Lesser brings over three decades of dive litigation experience to the seminar, based on his representation of some of the industry’s leading manufacturers and training agencies. Rick has lectured repeatedly at both the annual recreational dive industry trade show and the annual Commercial diving conference. 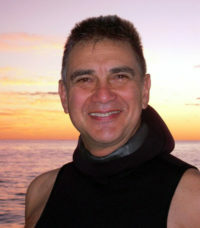 A lifetime diver, he is also the author of multiple articles relating to dive safety, risk management and maritime law. Gareth Lock is a retired senior officer in the Royal Air Force, technical diver and rebreather diver. For the last 10 years he has been examining diving incidents and accidents in the same way that made aviation as safe as it is now – bv applying human factors knowledge. 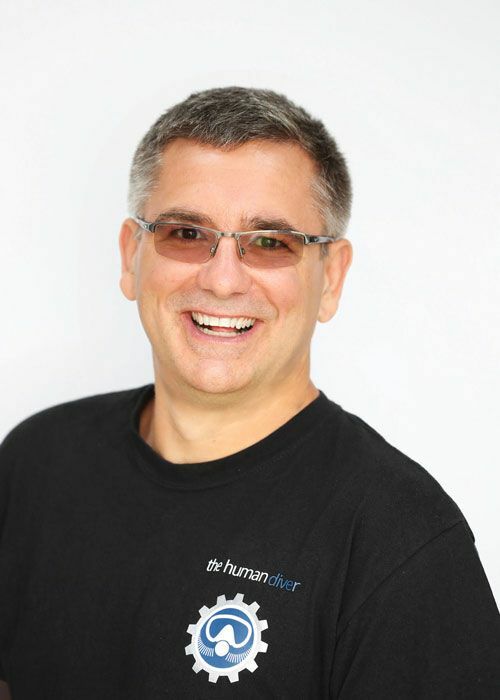 In Jan 2016 he ran the world’s first human factors skills in diving class – still a globally unique program. Since then he has taught nearly 300 people across the globe, presented at multiple diving conferences and has recently published a book on the subject called ‘Under Pressure: Diving deeper with Human Factors’. Walter Marti has been diving since 1974 and an underwater video filmmaker since 1985. His films have been shown in many International Film Festivals and Contests. He is a featured presenter at the yearly Crystal Blue Resort, Anilao CritterFest Workshops. His work has been seen in various feature productions by BBC, PBS, etc. His films have been a regular feature of the Scuba Show Film Festival. Brittany Novick is a member of both the veterinary research team and the education and outreach team at the National Marine Mammal Foundation (NMMF) in San Diego, CA, and is the former Miss Scuba International. Brittany is a certified rescue diver from Ohio with a B.Sc in Marine and Aquatic biology. She has a variety of experience in the field, from producing and hosting educational wildlife television to participating in research, to zoological animal care, to wildlife rehabilitation and rescue. Brittany’s passion for education and outreach, however, has come into the foreground in recent years. In addition to traveling around the world with the Miss Scuba International Organization – an organization that promotes ocean conservation and women in scuba diving, she spends a lot of her free time working with local school children, educating them about the oceans and marine mammals. Novick and her colleagues at the NMMF have recently began writing education curricula focused towards the San Diego Girl Scouts, inspiring young women to enter the fields of STEM (science, technology, engineering and mathematics) and educating them on ocean conservation topics, such as prevention of plastic pollution and protecting endangered species. 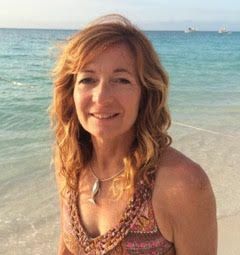 Betty Orr is Vice-President of Dan Orr Consulting, providing a variety of services to the diving community and is Managing Editor for Dive Training magazine and Dive Center Business magazine. She retired from Divers Alert Network after 23 years where she was in charge of their insurance programs. Prior to coming to DAN, she worked with the Florida Department of Regulation as an agent and Sinclair Community College in Dayton, Ohio as an Associate Professor of Biology. Betty has Bachelor’s and Master’s degrees in Biology and has authored and contributed to many books and magazine articles in scuba diving, biology and general interest. She is an inaugural year member of The Women Divers Hall of Fame. Dan Orr is President of Dan Orr Consulting providing a variety of services to the diving community. 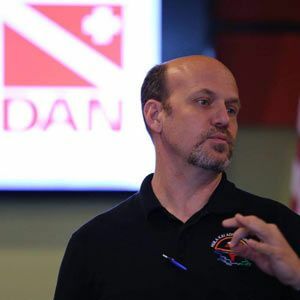 Recently retired from the position of President of Divers Alert Network (DAN) and Chairman of the Board of International DAN, he has helped DAN focus on its worldwide diving safety mission. 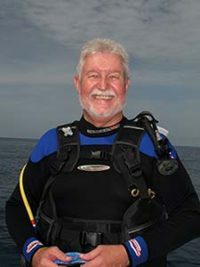 Prior to coming to DAN, he worked and taught recreational diving in a retail store, developed and implemented course curricula in the academic environment, collected data and supervised research efforts in the field of science diving, tested diving equipment for military contractors and worked for or served on the Boards of various not-for-profit organizations during his career including the Historical Diving Society, Diving Equipment & Marketing Association (DEMA), Academy of Underwater Arts & Sciences, The Our World Underwater Scholarship Society, The Institute of Diving, Deptherapy and others. 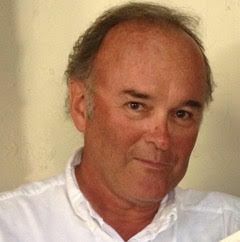 He has published and co-authored over 200 articles and a dozen books and manuals including: Scuba Diving Safety, Pocket Guide to First Aid for Scuba Diving Injuries; Pocket Guide for Hazardous Marine Life Injuries; and the DAN Oxygen First Aid for Scuba Diving Injuries Training Manual. He has also been the recipient of many prestigious awards and honors including the NOGI Award in Sports/Education, the Leonard Greenstone Award for Diving Safety, the Our World-Underwater Award, Beneath the Sea’s Diver of the Year, the Wyland Foundation Award for Lifetime Achievement, the NAUI Lifetime Achievement Award, the Hall of Fame for Divers with Disabilities, the 2012 DEMA Reaching Out Award, 2014 Inductee into the International Scuba Diving Hall of Fame, the NAUI Hall of Honor and the 2017 NAUI Lifetime Achievement Award. Faith Ortins has spent most of her adult life in the ocean. Starting as a scientific diver and volunteering for public safety diving operations in the 1980’s, Faith became a technical diver and divemaster and has thousands of dives over her 40 year diving career. She worked with DUI to develop some of the first women’s drysuits while still a dive retailer. She created the DUI DEMOTOUR, which promoted local diving while allowing divers to test dive DUI products, and the DIVEOPS program which promotes education about the risks of diving in contaminated water. She has led expeditions around the world- many to the most remote places on Earth including multiple expeditions to both poles. Recently, she co-founded Blue Green Expeditions and now runs expeditions full time as she continues to share her passion for diving with divers from around the world. 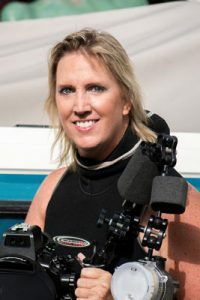 A frequent presenter at dive shows and conferences, she is a 2010 inductee into the Women Divers Hall of Fame and a member of the Boston Sea Rovers. Brook Peterson is an avid scuba diver and underwater photographer who enjoys capturing the beauty of the underwater environment throughout the world. She is an original member of the SEA&SEA Alpha program. Her work has been featured in both print and online magazines. She is the owner of WaterdogPhotography.com, an online resource for underwater photographers and authors a blog on underwater photography and techniques. Jess Rosas is an active County of Los Angeles SCUBA & Skin/Freedive Instructor who been involved with training and educating SCUBA divers, freedivers and dive leaders in local oceanographic patterns and processes for safe exploration of the coastal and offshore island waters of Los Angeles County for the past 21 years through emphasis and practice of critical watermanship skills, repetitive acclimation and exposure to the differing seasonal turbulence patterns of the Los Angeles County nearshore coastal environment. 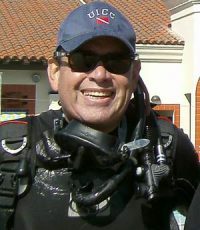 He has been an active volunteer with the County of Los Angeles Department of Parks & Recreation Underwater Unit Programs for the past 21 years as lead instructor trainer for the Underwater Instructor Certification Course (UICC), program director/lead instructor for the Rocks, Rips & Reefs (“3Rs”) program, and a lead instructor for the Advanced Diver Program (ADP). His work with the Los Angeles County Underwater Unit programs has been profiled in California Diver and NAUI Sources magazines, and he is also an active speaker to various dive clubs and organizations. Jess has also served as a Board Member of the Los Angeles County Underwater Instructors Association. Jess has been recognized for his service to the County of Los Angeles Underwater Unit programs as a recipient of the prestigious Conrad Limbaugh Award, and the “Outstanding Instructor” award, given by the Los Angeles County Instructor Association. Jess is also an NAUI instructor & Instructor Trainer and active SSI Instructor. Andy Sallmon and Allison Vitsky Sallmon are a photojournalism/photography team that has been working together since 2010. Individually, their work has been recognized in international underwater and nature photography competitions, featured on the walls of aquariums and museums, and published in books and magazines on diving, nature, and photography. Their images and articles are among the most published in North American diving media today. 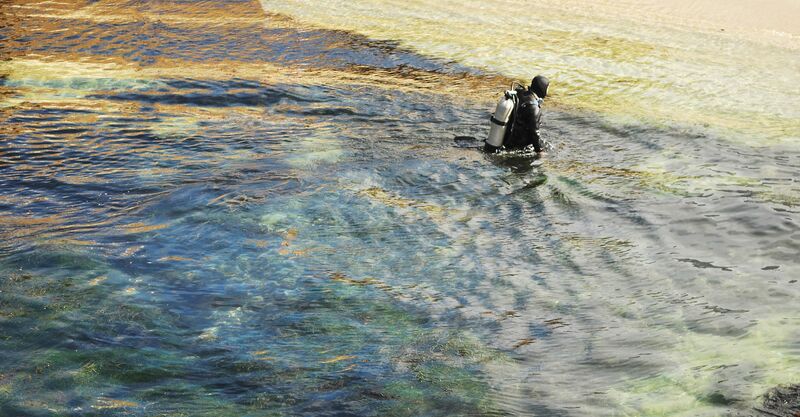 The two combined have over 60 years of recreational and technical diving experience with more than 10,000 dives all over the world, however, their favorite place to dive is the rich, temperate water of their home state: California. Andy and Allison live in San Diego. Dale Sheckler has been actively diving California since 1973, Kim since 1982. The couple founded California Diving News in 1984 and published and edited the magazine until December of 2011. They are now contributing writers for the publication. They also founded the Scuba Show in 1987 and produced it successfully until 2011. 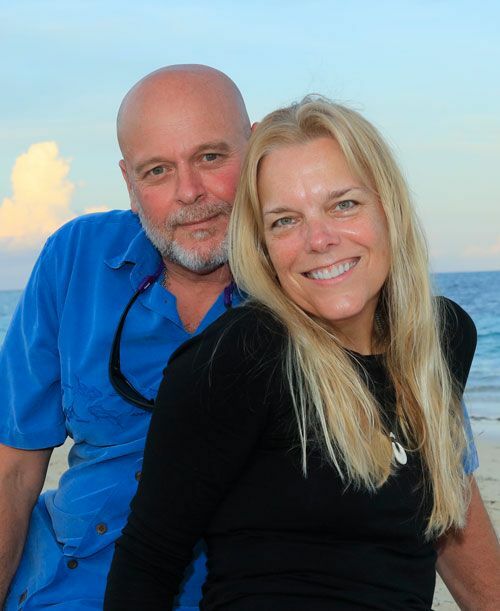 Kim and Dale have authored many books including Southern California’s Best Beach Dives and Diving and Snorkeling Guide to the Channel Islands. In 2012 they were presented with the California Scuba Service Award for their many years of tremendous service to the California diving community. An inductee into DEMA’s SCUBA diving Hall of Fame, Marty Snyderman is a proud recipient of DEMA’s 2008 Reaching Out Award. He is also an EMMY Award winning cinematographer, still photographer, author and speaker specializing in the marine environment. Marty is being honored by the Academy of Underwater Arts and Sciences in the field of the Arts as the 2018 NOGI recipient. 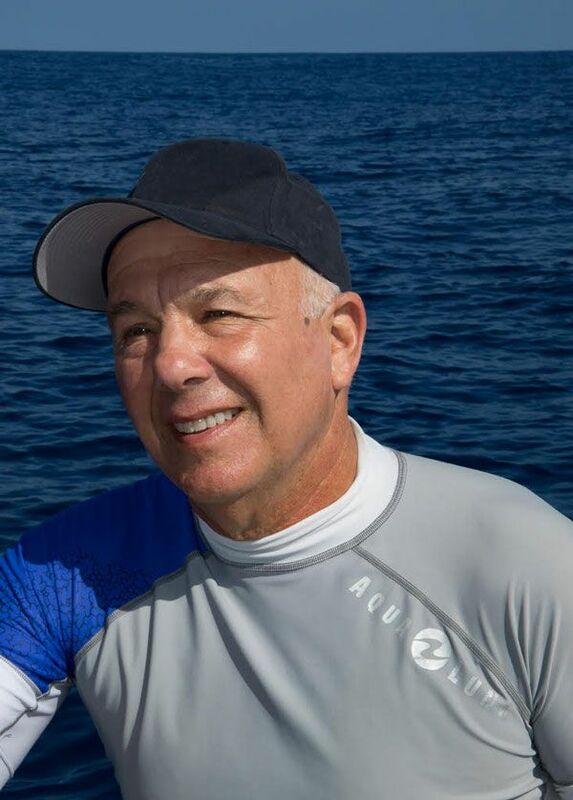 As he has been for many years, Marty serves as the Marine Life Editor and columnist for Dive Training magazine and as the Senior Editor and columnist for California Diving News. 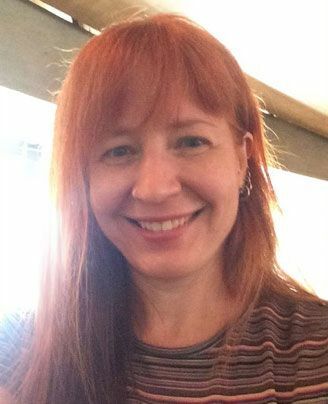 Karen Straus was born in Southern California and grew up in Nairobi, Kenya. She started diving in 1968. She was among the first handful of women certified as scuba instructors, earning her Los Angeles County instructor certification in 1970. For many years she taught swimming, life-saving, and skin and scuba diving. 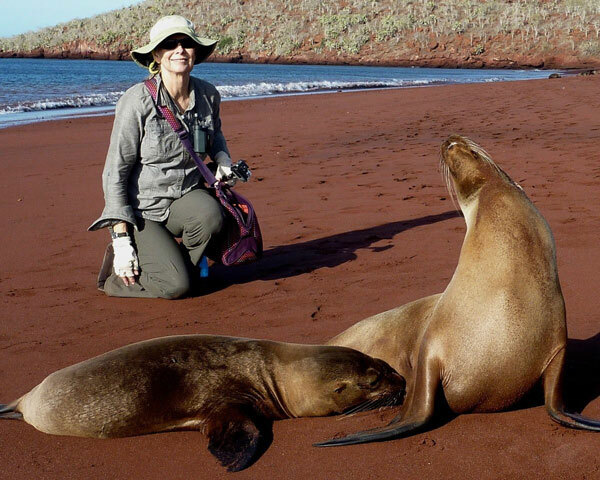 She also began writing about and photographing marine life for dive magazines and books and worked for several years as a field producer for underwater and nature television documentaries. Karen is an officer of the San Diego Undersea Film Exhibition. She was inducted into the Women Divers Hall of Fame in 2011. In 2017 she was the co-author of Immersion: 75 Years of Adventure and Discovery, about the invention of the Aqua Lung regulator. In 2018 she was a contributor to another book, Ocean Metaphor, Unexpected Life Lessons From the Ocean. She is a contributing editor to Dive Training magazine. Mark Strickland’s life-long connection with the sea has included 10,000+ dives and careers as ocean lifeguard, captain, scuba instructor, and live-aboard cruise director. 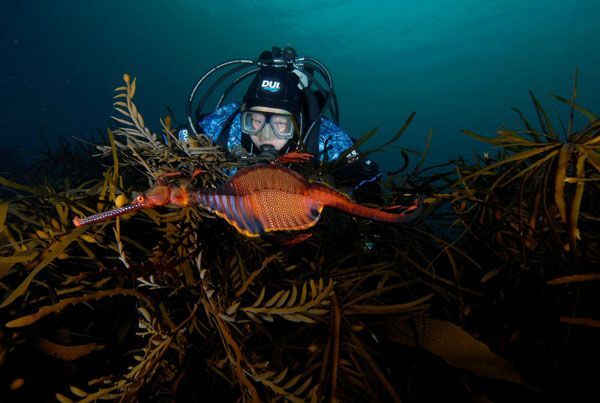 An accomplished underwater photographer and passionate conservationist, his editorial credits include several books, periodicals like BBC Wildlife, Conde Nast, Geo, National Geographic World, Nature’s Best, Natural History, Outside and most major dive magazines. 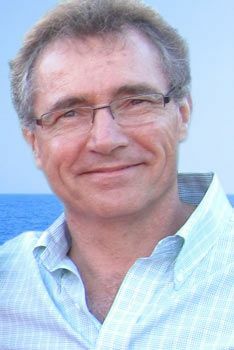 Mark is also co-author and primary photographer of Lonely Planet’s award-winning book, “Diving and Snorkeling Thailand”. His images have been displayed at the Smithsonian Institution, United Nations Visitor Center, and galleries including G2 in Venice, CA. Mark currently serves in various roles at Bluewater Photo, including leading international trips each year to his favorite dive destinations. 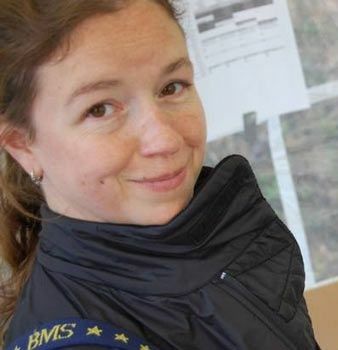 Frauke Tillmans is the Research Director at Divers Alert Network (DAN). She has a degree in Biology and a PhD specializing in oxidative stress (free radicals) involved in acute diving injuries and may affect long term health of divers. Dr. Tillmans is also a very experienced scuba diver, diving instructor, and scientific diver. She has worked as a researcher in collaborative projects covering decompression stress and was employed with the German Navy until joining DAN. Devon Tompkins has been shooting underwater photos since 1979. His diving experience encompasses recreational, commercial, and scientific diving. Now in his 20th year as the preeminent underwater housing service technician, his company Pacific Housing Repair and is the Sea & Sea Service Center for North America, as well as the warranty repair center for Aquatica. Devon’s u/w photographic interest concentrates on the realm of extreme light spectrum imaging; ultraviolet and infrared. Karen B. Van Hoesen, M.D. Karen B. Van Hoesen, M.D. is one of the leading authorities on diving medicine and physiology. Dr. Van Hoesen is a Clinical Professor of Emergency Medicine at UC San Diego and is board certified in both Emergency Medicine and Undersea and Hyperbaric Medicine. She received her BS degree in Zoology from UC Davis and her MD degree from Duke University Medical School in 1988. 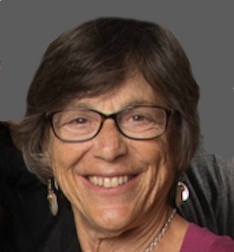 She has been on faculty at UCSD in the Department of Emergency Medicine and Division of Hyperbaric Medicine since 1993 and as Director of the Undersea and Hyperbaric Medicine Fellowship at UCSD since 1998. She is Director of the UCSD Diving Medicine Clinic working to improve diver health and fitness and keeping divers safe. Dr. Van Hoesen has served on the board of directors of DAN and UHMS. Dr. Van Hoesen has published over 30 original research papers, book chapters, and abstracts and is a frequent speaker on diving medicine. She has been a NAUI diving instructor since 1983, 2014 DAN/Rolex Diver of the Year, 1988 Our World Underwater Scholarship Recipient, and inaugural member of the Women Divers Hall of Fame.